Fabulous Masterpieces can now reveal that they were the art studio that Paramount Pictures contacted to paint the infamous painting in the very funny Dulwich Picture Gallery prank to publicise their new movie, Transformers: The Last Knight. 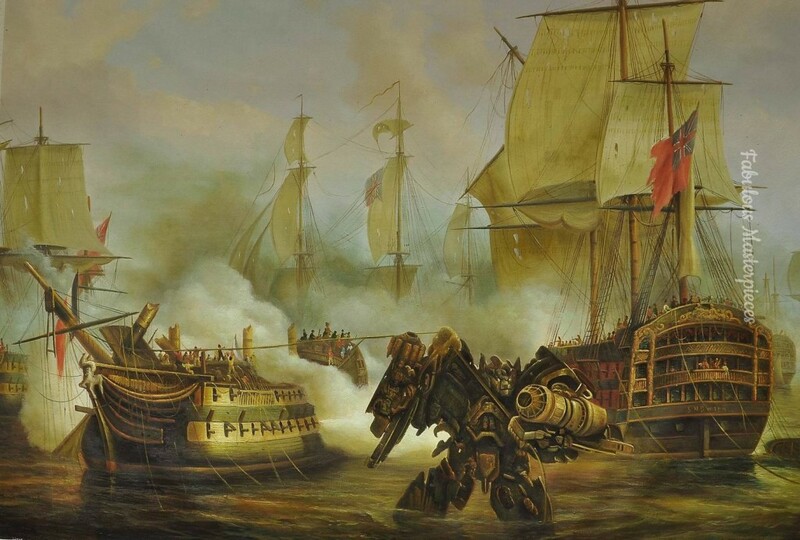 Our oil painting, which hung at Dulwich Picture Gallery on June 9, features Ironhide standing menacingly between two warring English and French naval ships. This painting was adapted from Auguste Mayer’s original painting entitled: The Battle of Trafalgar. Old Master expert Bendor Grosvenor declared it a “well done” copy. Peoples reactions to seeing the painting are splendid. One clip shows a confused visitor look into the painting and repeat “what?” to his partner five times. Ironically, we’ve just finished painting a classic portrait of Lord Nelson for a client with not a Transformer in sight. 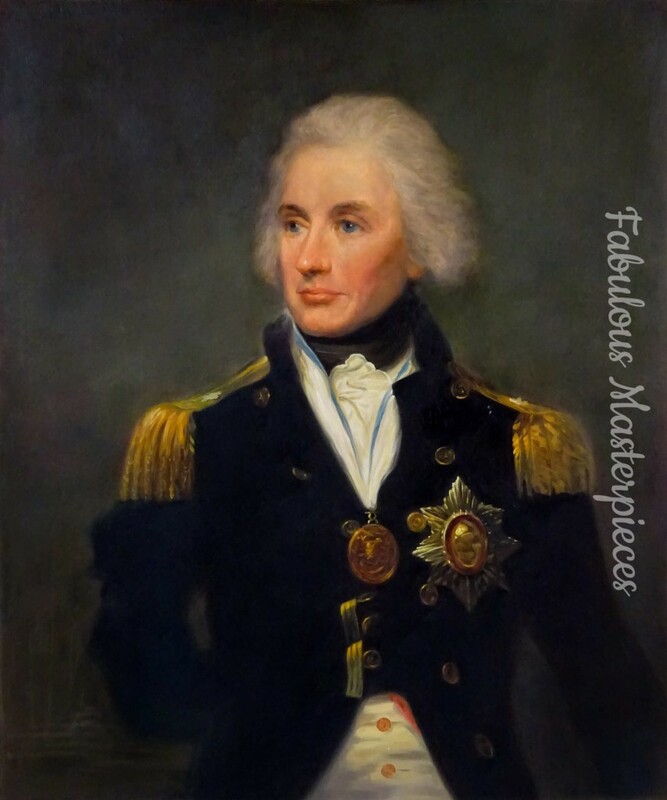 Abbott’s Lord Nelson by Fabulous Masterpieces. Oil on canvas. Do you have an art project you would like to discuss with us?